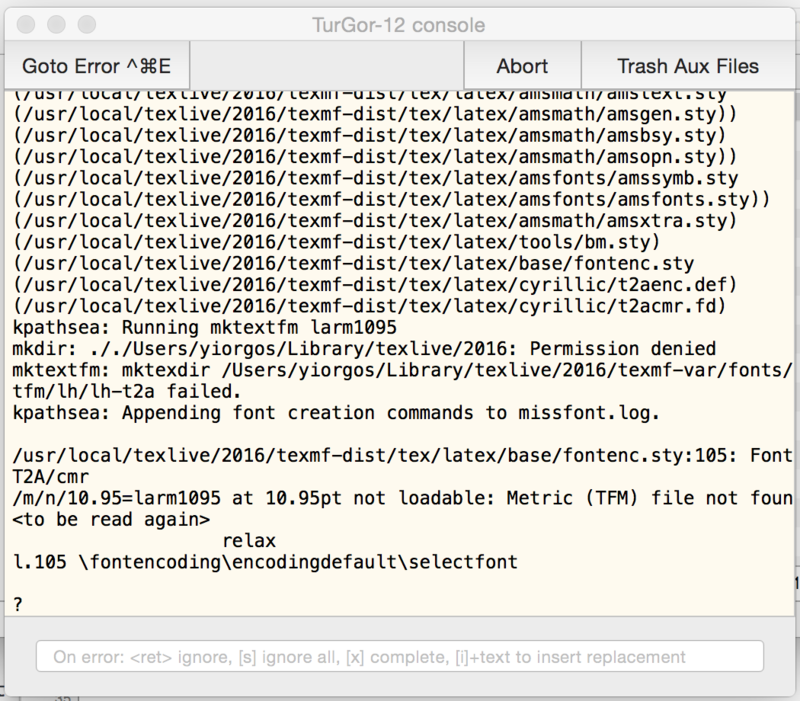 I have installed MacTeX 2016 in a MacBookPro (OS 10.10.5), and I cannot "LaTeX", in TexShop a TeX-file containing cyrillic characters in the text. EDIT. It works though with sudo latex in an xterm. Hence, it has to do with permissions. and subdirectories thereof. These should have full access by the user, of course. Change <user> into your name as shown by whoami, hit Return and all should be well. but running the chown command on the top level is probably better in order to reshape everything to normal. Not the answer you're looking for? Browse other questions tagged babel mactex cyrillic or ask your own question.